In a similar discussion as the post below on Charlotte's competitiveness, Brendan O'Shaughnessy at the Indianapolis Star discusses why it is that Indianapolis isn't as competitive. The reason? The want to keep the cost of government low. Indianapolis spends far less than these other cities on government -- and consequently spends far less on such things as parks, public transportation, the arts and libraries, amenities that some people view as optional but that experts see as critical to making a city vibrant and competitive. Indianapolis' spending choices underscore two core community values: thrift and an affinity for small government. It sure explains a lot and offers a vision of what a more libertarian type future would be like. The point seems to be that they don't value the commonwealth ideals as much as regions like Portland and Seattle who value parks and libraries. "The unwillingness to gut it up for big expenditures made it hard to keep pace with other cities," Hudnut said. "It's very tough to fund some of these necessary improvements if you campaign on a no-tax mantra." 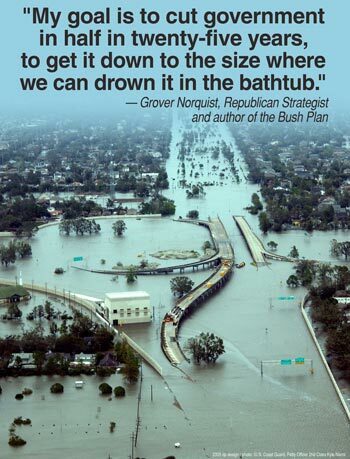 The no-tax mantra is alive and well as we know from the famous Grover Norquist wish to shrink government so much that it could be drowned in a bathtub. But this no-tax policy also seems to be killing needed services and common goals. Unfortunately, people don't quite understand the value of networks when thinking about the beginning of transit or parks for that matter. It's all about what benefits me now and not the Universe of benefits but rather the MEniverse. Melyssa Donaghy, an anti-tax activist with Hoosiers for Fair Taxation, acknowledges as much. "I don't use the parks except the Monon Trail," she said. "I don't think it's affecting my quality of life. What's affecting my quality of life is the ability to pay my bills." Sure it might not be affecting your quality of life, but what about others? What about things that do affect your quality of life that others don't want to pay for. This comes up with transit as well. Why should I pay for that if I don't use it. Well, the people who will take transit often pay for your roads, why should they do that? If I take BART to work every day, why should I pay for the new Bay Bridge span? It doesn't benefit me directly. Therein lies the problem. I think this answers why older rust belt cities are doomed to die a slow painful death. Places like Cincinnati and Indianapolis will never be havens for the creative class unless they start investing money in their cities instead of being misers. Being cheap in the MEniverse is easy. Investing in all aspects of community, well that takes civic pride and a willingness to provide common wealth for the common good. Personally I think it's healthy. This way we have cities like Denver and Portland pushing for more progressive policies that benefit society as a whole, and then other cities that would rather hold on to their tax-free "character." Those that would rather "keep their money" than have a vibrant city can live in those cities for all I care and cling to their mantra instead of living in our cities and trying to drag us down! Well, it's a good theory. ...and Austin is some psychopathic combination of the two. Austin is a weird case where the state government has wielded a lot of power over the local government, which is much more progressive. I do think that places like Cinci are making steps forward in thinking about putting transit in their existing tunnels and streetcars on the surface. But how that moves forward depends on how much they get push back from their fairly conservative gentry. The bond indebtedness of my city is causing me to face losing my home. Overnight my property tax bill increased $400 per month. That's because our previous administration borrowed from the bond bank to fund day-to-day operating costs of the city. Our homes are literally used as collateral to secure bonding where I live. In Indianapolis a mere 1/2 million was reduced from the parks budget to help put our city into the black. You would have thought the sky was falling. I suppose you think it would be better if our city's residents faced with foreclosures due to property tax hikes slept in the parks because many of us are facing losing our homes. I was not in a high risk mortgage. I saved 5 years for a downpayment and I've owned my home more than a decade. Now I'm faced with the very real proposition that I can't afford to live in it anymore due to excessive spending. Society as a whole might soon find themselves living on the streets because of these backward "progressive" policies. Huh? I knew Cincinnati has an unused subway tunnel that was built in the 1930s. It would be a logical choice to put light rail in. In fact, this could have been useful if Cincinnati had preserved its streetcars! 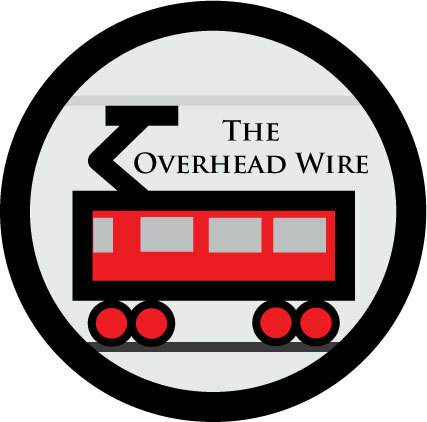 Here in Ottawa, yes, we do have some Grover Norquist type opponents of light rail. One is Walter Robinson, the head of the Canadian Taxpayers Federation (CTF), who was Mayor O'Brien's chief of staff and was a former Tory candidate in Orleans. The claim that I would have people sleep in parks who got kicked out of their houses is quite outrageous, and since you don't even know me I'm surprised you made it. I'm sorry however you are facing such a predicament. I'm interested in hearing more about Indianapolis and what you consider excessive spending. I read that Arts funding had been cut to zero. Transit is raising fares and cutting service. Is the city also going to cut funding for the RCA dome? The point I'm trying to make is that cities have priorities, the priorities of places like Denver and Portland are different than those in Indianapolis which can then be seen as making Indy less competitive in attracting new industry or creative workers. I also noticed this article as well. It's always a trade off, if you take away tax from one place, you create taxes for others. ...and you get our crappy commuter rail joke! I've noticed that you've been harping a lot on the importance of networks. I'm about to do a series of posts on my own blog about the importance of mass transit and I was wondering if you possibly had any advice on what principles one might construct a network on...?